For deposit appointments: We have appointments that require a deposit due to the amount of time booked in the schedule. A deposit is required to book an appointment online. When you come in for your appointment, you will pay the remaining amount (including taxes) after the service is done. The appointments require any cancelling or rescheduling to be done prior to 24 hours of your appointment, otherwise you’ll forfeit your deposit and must place another deposit if you want to re-book with us. If you have an appointment but have several questions that needs to be answered before you begin, it is best to book a consultation ahead of time. This will ensure that we can address all of your questions and concerns prior to your booked appointment, and then make the most out of the time you are paying us for. It is recommended to arrive approximately 10 minutes prior to your scheduled appointment. The following services require paperwork and consent forms to be filled out, such as: Lash extensions, lash lifts, permanent makeup/ microblading, lash/brow tinting, henna, waxing, etc. For lash services: Please arrive to your lash appointment free of makeup. If you are coming straight from school, work, or an event, please arrive early enough to remove your makeup prior to the scheduled start time. For lash refills: Lashes needs to have at least 50% of lash extensions left for it to be considered acceptable for a refill. If you wear contact lenses: please plan to remove them for your appointment. We do not recommend clients wearing contact lenses during the lash procedure as the fumes from the glue can irritate the eyes. When wearing contact lenses during the procedure, many issues may arise and will complicate and delay the lash procedure. For a smooth process with less complications, please remove your contact lenses for your lash appointment. For permanent makeup services: Please arrive approximately 10-15 mins early to review and fill out your paperwork. Please ensure that you arrive to your appointment makeup free (brow clients can arrive with their brows filled in, but no other makeup). Avoid caffeine the day of your appointment as this can thin the blood, which in turn can cause the pigment to be pushed out during the procedure and the pigment would not last as long. Keep in mind that you must avoid sweating for 14 days following the procedure. If you are going to be late to your appointment, please make sure to call us. Please be aware of any construction or road blocks on your route to the store and leave accordingly. If you are late, you will only receive your service for the remaining time in your appointment but will be charged for the full amount of the original service. If you are late beyond the amount of time we can accommodate you, you will be subject to the 25% late cancellation fee. From time to time, our technicians might be delayed; something unexpected might arise during a treatment, a service may have taken longer than what was booked for, etc. Due to whatever reason we might be behind, please know that it is to ensure that we are trying to offer our clients the best service possible. With all our efforts, we do try to ensure to maintain the respectful time. Please keep this in mind when you’re attending your appointments to get the absolute best our of your time with us. It is recommended to not bring your children to your appointments as it can be an unpleasant experience for the child due to the long procedure, and it may cause disruptions in your service as well as others, and we want to ensure that all our guests are able to have a wonderful and relaxing experience. Pets are not allowed in the store. Online orders are only available domestically as we only ship within Canada. All orders submitted are considered final. It is recommended to double check purchases before submitting the orders. There are no cancellations available once the order’s submitted. Tracking ID will be provided via a shipping confirmation e-mail once the parcel has been shipped. Numi Lash & Brow Inc. is not responsible for any shipment delays made by the courier and is not liable for any lost or damaged parcels while in transit, or delays made by the courier. All items ordered during a sale or promotion are final, no exchanges will be allowed. Items purchased during the sale period are not considered valid for any exchanges. When ordering, please make sure all items are correct before placing the orders. Please note: Once the packages leave our facility we are not responsible for any additional fees, or damages. Any custom charges or fees are the sole responsibility of the purchaser. Customers have up to a maximum of 90 days from the date the order was made to claim their package as lost to receive any appropriate compensation regarding their order. Once orders are processed and shipped, you will be provided with an e-mail confirmation with a tracking ID. Once confirmed, we are no longer liable for any lost, stolen, or misplaced packages. It is very important for the purchaser to provide accurate address and contact information to avoid any confusion. For your protection, all orders require a signature upon delivery. Please ensure that all items you have ordered are delivered to a location where you will be present to sign. Contact the delivery company if you would like to waive the right to a signature, however, this will waive any insurance on your purchase from Numi Lash & Brow Inc. To avoid confusion, please be aware if you have given permission to waiver a need for a signature in the past by the delivery company. Contact the delivery company directly for any questions regarding the shipping. Delivery of parcels will be fulfilled by either Canada Post or UPS. If the final sale products you wish to order is not in stock, our warehouse team will notify you and appropriately refund you for the product immediately. For regular products that are not in stock, we will notify you about a delay in shipment and will ship all items once the item is in stock. Please inspect all items in your package upon delivery to ensure product conditions. If you believe an item is damaged or missing, please notify us via e-mail within 24 hours of delivery. It may be necessary for us to contact the courier company for damage purposes. In all cases the damaged merchandises must be returned along with the packaging materials. Numi Lash & Brows Inc. reserve the right to either replace the item or offer an in-authorization store credit towards other products. We cannot accept returns without prior authorization. Numi Lash & Brow Inc. must be notified by e-mail within 10 business days of receipt of your merchandise to grant an exchange. Any orders past 10 days old are not returnable or refundable. Return shipping fees apply on exchanges. Once the items are inspected, you will be refunded accordingly via the payment you used to purchase with. All items need to be turned within 14 days of receipt. No exchanged accepted without prior authorization. All items in question must be in the unopened, original packaging. Return Address: Numi Lash & Brow Inc. Returns 2 nd Floor, 338 Preston Street, Ottawa, Ontario K1S 4M6 Canada IMPORTANT: When mailing your returns, please ensure you provide your name, our business name, e-mail address, contact number and reason for returning. Also keep all receipts and important documents that came with the package for a smooth return process. All orders that are submitted are finalized, there is no room for cancellation once submitted. Therefore, please ensure that your orders are correct before submitting the orders. No Credits, Refunds, or Exchanges allowed. This website is operated by Numi Lash & Brow Inc. Through out the site, the terms ‘we’. 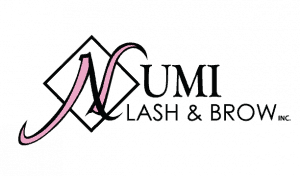 ‘us’ and ‘our’ refers to Numi Lash & Brow Inc. Numi Lash & Brow Inc. offers this website, including all information, tools and services available from this site to you, the user, conditioned upon your acceptance of all terms. Conditions, policies, and notices stated here. Please read these Terms of Service carefully before accessing or using our website. By accessing or using any part of the site, you agree to be bound by these Terms of Service. If you do not agree to all the terms and conditions of this agreement, then you may not access the website or use any services. If these Terms of Service are considered an offer, acceptance is expressly limited to these Terms of Service. By visiting our site and/ or purchasing something from us, you engage in our “Service” and agree to be bound by the following terms and conditions (“Terms of Service”, “Terms”), including those additional terms and conditions and policies referenced herein and/or available by hyperlink. These Terms of Service apply to all users of the site, including without limitation users who are browsers, vendors, customers, merchants, and/ or contributors of content.